and Thy holy Resurrection we glorify." 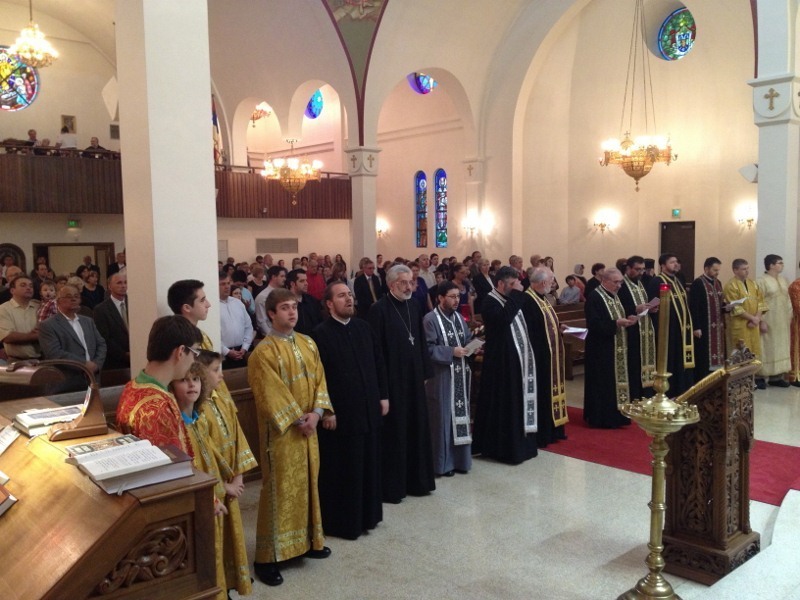 Merrillville, IN - The spiritual echo of these beautiful words resounded in the souls of the faithful people of God who gathered with their priests at the St. Elijah Serbian Orthodox Cathedral, around their Bishop to celebrate the third Sunday of Lent, the Sunday of the Adoration of the Holy Cross. This beautiful prayerful celebration was, with the blessings of His Grace Bishop Longin, led by V. Rev. Stavrophor Nedeljko Lunich. 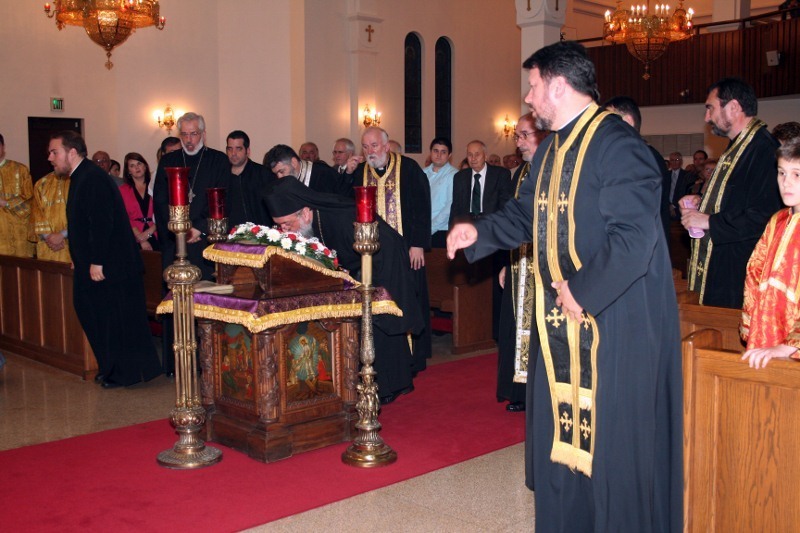 Afterward the bishop, clergy and faithful people, making prostrations, venerated the Holy Cross. The bishop's presence and his beautiful spiritual message after the service gave strength to all those present. During the service the cathedral choir majestically sang the responses. The homilist, V. Rev. 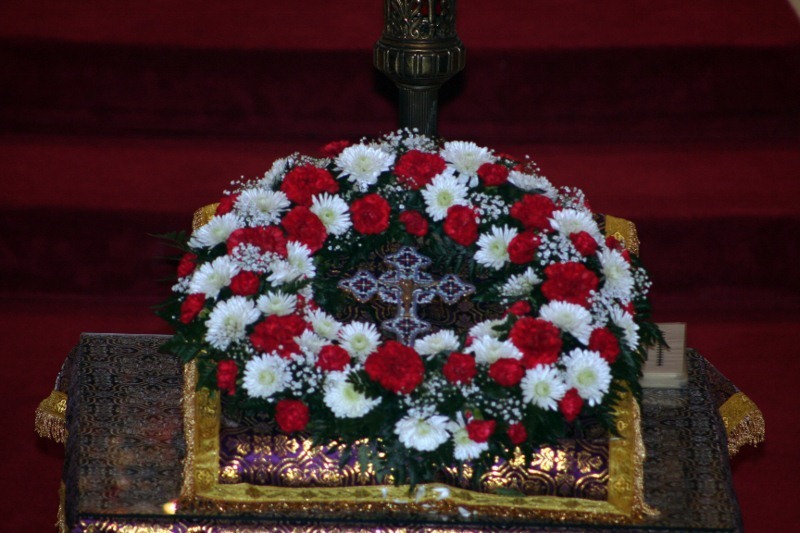 Stavrophor Luka Lukic reminded all the faithful of the meaning and importance of the Holy Cross, fasting and prayer for the salvation of our souls. The cathedral dean, Fr. 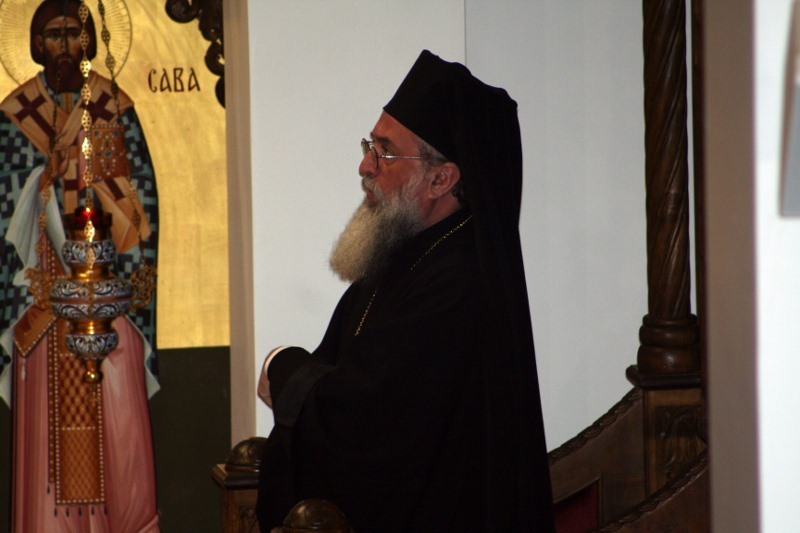 Aleksandar Novakovic, thanked Bishop Longin, the clergy and all the people for their prayerful visit and he expressed his hope that they would all continue their spiritual journey and perfection during these days of Great Lent that they might prepare themselves that they worthily await the Feast of feasts, the Lord's Resurrection. 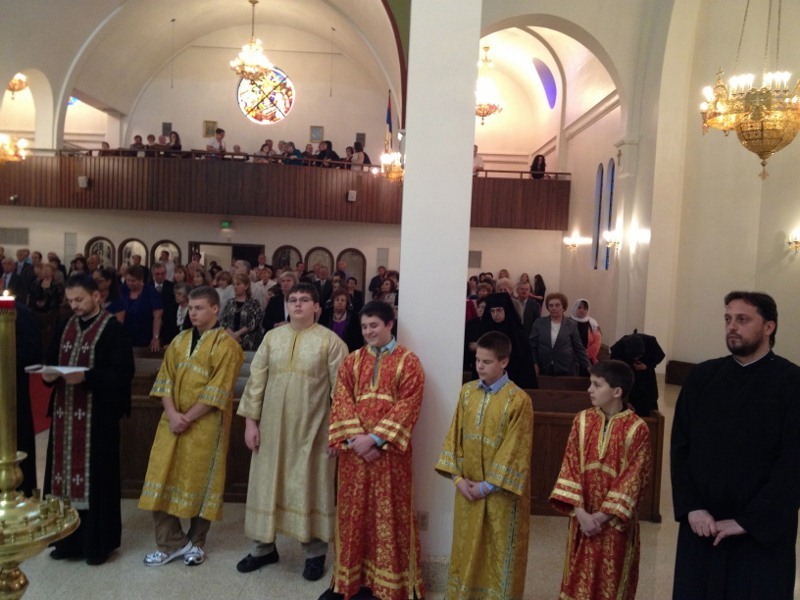 This prayerful gathering concluded with a lenten meal prepared by the cathedral Kolo Srpskih Sestara. 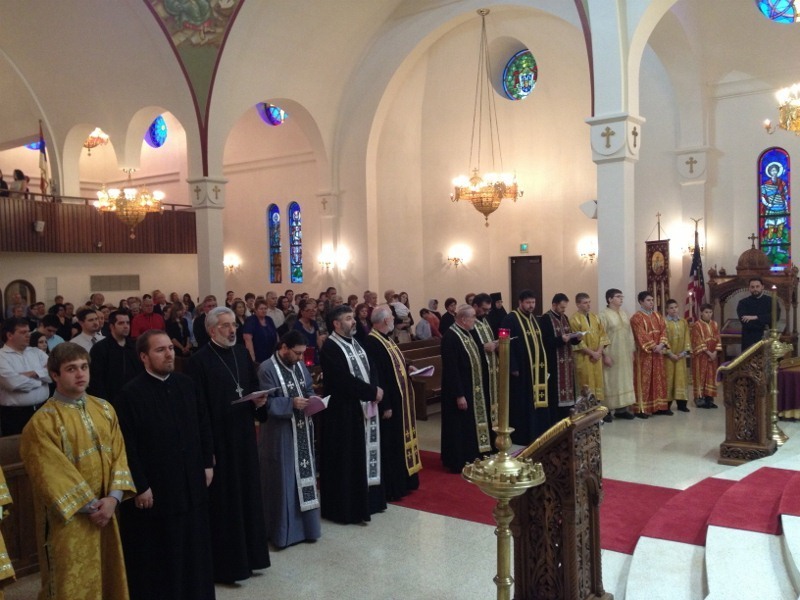 This was truly a beautiful event at the St. Elijah Serbian Orthodox Cathedral in Merrillville, Indiana.